The Primary School Initiative aims to broaden the awareness of the importance of good teaching and assessment practices at the primary school level. It wishes to establish a strong collaborative network of primary school educators who are fully conversant with local and global trends, developments and standards and assist primary schoolteachers in embedding these in their daily classroom interactions with learners. The IEB seeks to advance quality teaching and learning in South Africa through an assessment process of integrity, innovation and international comparability. We provide Umalusi accredited examinations in all subjects recognised in the NSC for our schools. 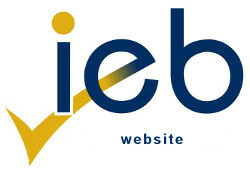 Explore the opportunities your association with the IEB provides! The Bill of Rights in the South African Constitution states that everyone has a right to a basic education, yet there are millions of adult learners who do not have a school-leaving certificate. The IEB was the first assessment body to set examinations for adults so as to allow them to obtain a school-leaving certificate. The IEB is also the only independent assessment body that is fully accredited by Umalusi to assess the AET General Education and Training Certificate Level 4.